Something I don't think we switch up enough in our day to day lives, is our haircare products. When it comes to skincare, I know we all love to try out all the latest fancy new products, but with haircare, I think a lot of people stick to a select few products, and don't stray, using them day in day out. For me, this just doesn't work. Just like your skin, your hair has different needs. Various factors can affect the healthiness of your hair, for example, any time I go on holiday, my hair is in the worst condition EVER due the difference in climate. So, these are the times when I pull out the best of the best, the products that are going to add that moisture back into my hair, and make it shiny, and hydrated again. I'm currently in Greece, so it's safe to say between the chlorine from the pool, and the humidty, my hair isn't looking nor feeling it's best lately. Luckily, I've been trying out some amazing products from Grow Gorgeous that have really been a life saver on this trip! Their new Rescue & Repair range is perfect for bringing heat and colour damaged hair back to life. Formulated with natural ingredients, the R&R range reinforces hair fibres to minimise breakages and strengthen your hair. With ingredients such as Sea Satin, Keratix & Bamboo Extract, it's not hard to see why I love this range so much! These ingredients are key to repairing weakened hair fibres, improving hairs elasticity, and leaving your hair feeling shiny and silky smooth! Since using the Shampoo and Conditioner, I think the biggest difference I've noticed, is the minimal breakages. My hair can be very brittle, even just brushing through it would cause a lot of damage. Currently, I have noticed a lot less breakages which is amazing! 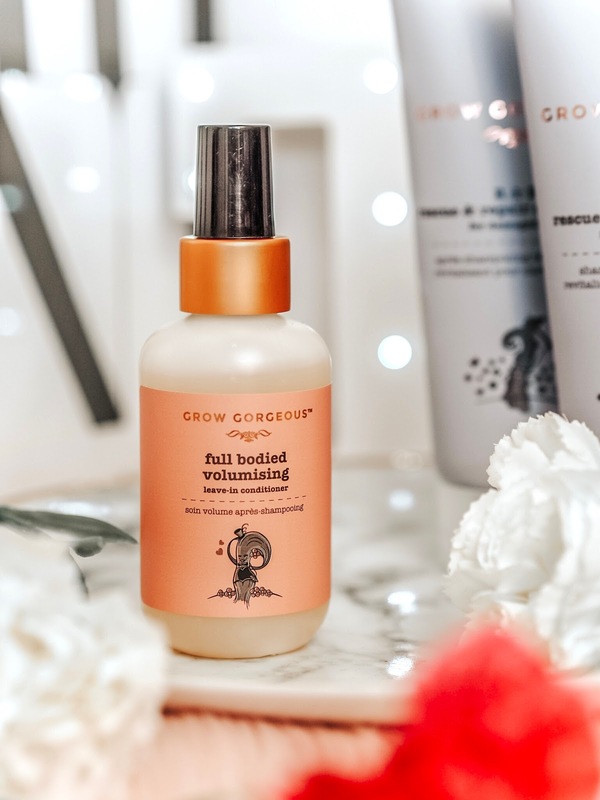 One other product I just want to quickly mention that I've been loving, is the Grow Gorgeous Full Bodied Volumising Leave-In Conditioner. I use this after washing my hair sometimes, if I'm wanting to add a little bit more volume to any areas of my hair that be left looking a little bit weighed down and flat. Running just a couple of pumps of this through my hair, makes my hair a lot more manageable, and easy to style. Overall, this range has really revived my hair when other products just weren't cutting it either because I think my hair became immune to them, or they just weren't as intense as I needed them to be. I'd highly recommended picking this range up and giving it a try if your hair needs a boost. Ps, it also leaves your hair smelling INCREDIBLE. 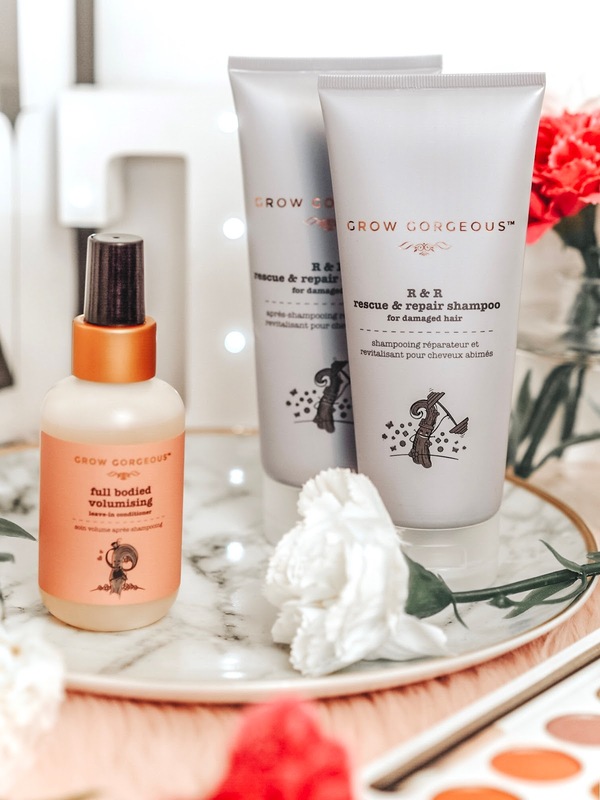 The Grow Gorgeous Rescue & Repair Range is now available in Boots. 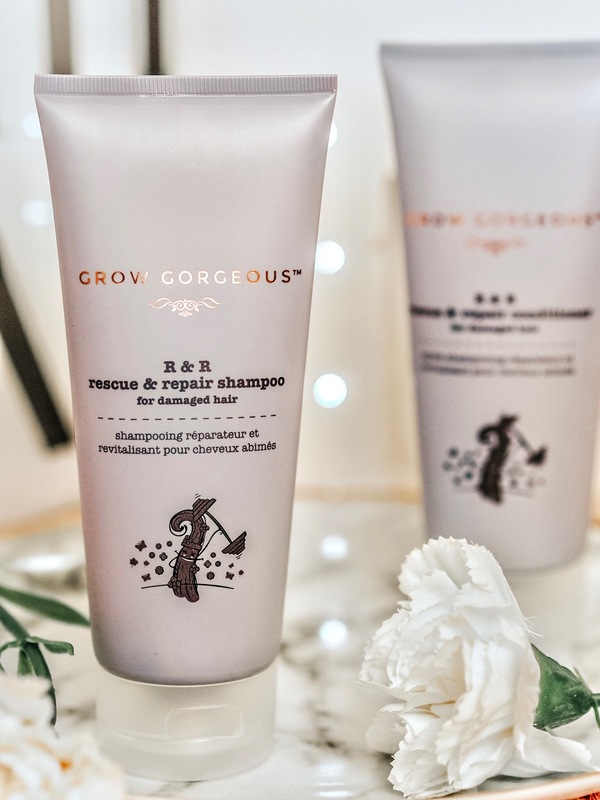 Have your tried the new Grow Gorgeous R&R range yet? Oh wow they look incredible! So so nice! I've heard so many incredible things about this range too! I seem to find a brand of haircare products that I like and I never switch, but looking around for other brands and products should be something I do more often. Great post. I haven't heard of this brand before, but my hair definitely needs rescuing! I've never heard of this brand before, but my hair is in need of some tlc so I'll have to check these out! I really need to try out these products!! Oohhh they sound so good!! I’m looking to do some damage repair myself.